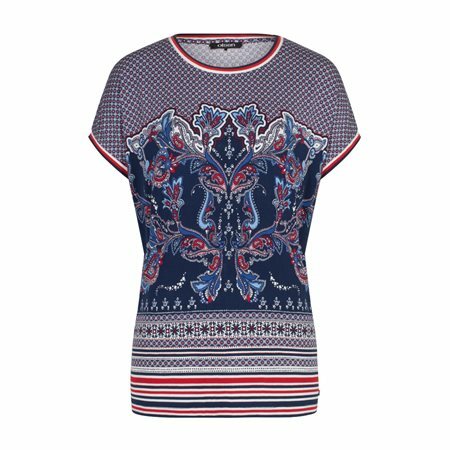 This paisley printed top is the perfect addition to your spring summer wardrobe. Its gorgeous colour combinations and pretty print makes this top easy to pair with a number of outfits. This is a box fit top meaning it will sit slightly loose and is finished with wide rounded neckline.